A day spent amongst nature in the Las Cañadas del Teide National Park: from the summit of the tallest mountain in Spain descending into Orotava Valley and Puerto de la Cruz, taking a dive into the waters of Martianez Lake. 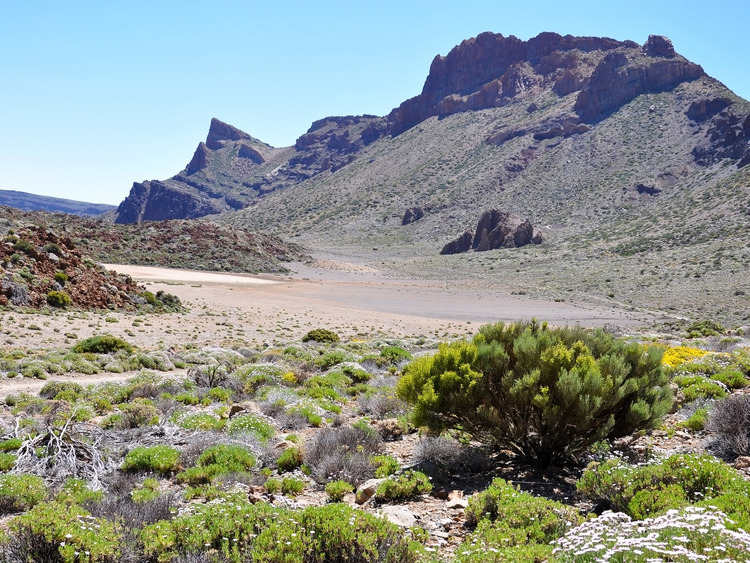 We will begin our tour by leaving the port in the direction of La Laguna to head towards La Esperanza Forestal Park, dense pine and eucalyptus woodland, to arrive at El Portillo, a natural access route to the mountain chain of Teide, where we will make a brief stop. From here, we will enter the Teide National Park, where Mount Teide stands, which, at 3,718 metres high, is the tallest mountain in Spain. Finally, we will arrive at the San José Mine, where our guide will tell us characteristic facts about the area, amongst which the rapid transformation of the plantlife owing to the altitude. We will descend towards Orotava Valley, to see typical plantations of hilly terrain and visit the Botanical Garden of the small town boasting the same name, where we will admire the incredible variety of exotic plants and gigantic trees. The last stop on our tour is Puerto de la Cruz, where we will enjoy lunch at the Hotel Tenerife Playa, which overlooks the Lago Martianez seawater pools, a complex created by the architect Cesar Manrique and made of 7 artificial, seawater lakes, representing the 7 Canary Islands. During this excursion we reach an altitude of 2,300 metres, along a road that is winding in parts, it is therefore recommended to wear appropriate clothing.